Anyone who has ever been a part of a hockey association knows it takes a village to make it work. In Stillwater, the Stillwater Area Hockey Association (SAHA) takes that to a whole other level. 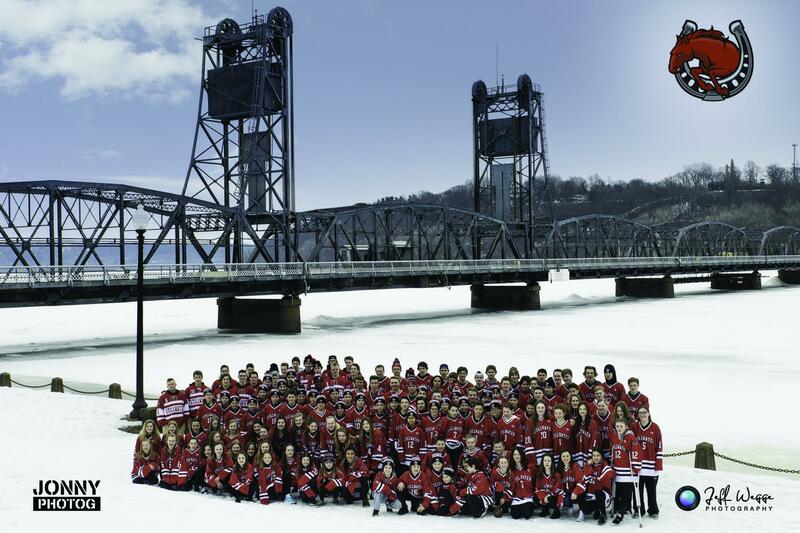 With more than 35 teams from Intermediate Mites all the way up to the U19 level, SAHA has quietly become one of the most successful associations in the state. In 2017-018, Stillwater had nine different teams advance to their respective state tournament. OK, maybe they started quiet, but based on the progress the program has made over the past several years, the Ponies program has started to gallop with no signs of slowing down anytime soon. The basic model SAHA has perfected revolves around player and community development – two concepts that are not necessarily new, but difficult to master. Most agree that the player development model began to change a handful of years ago when former Gopher Bill Kohn moved to the Stillwater area. Coming with him was a proactive desire to develop players from the ground up. Soon after, Eric St. Martin jumped on the train and the Ponies began to roll. The concept was to find professional training programs and professionals to teach them, and instead of the association going to them, the specialty training started to come to Stillwater. Still today, Kohn (SAHA Boys’ Hockey Director) and St. Martin (SAHA Girls’ Hockey Director) spend countless hours securing some of the best hockey development training the state of Minnesota (and beyond) has to offer, and in each case, the association pays to bring those tools right to the Ponies front door. “It started with Bill Kohn, our director of boys’ hockey,” said Tim McGlynn, SAHA President. “He came from outside of the community. He moved from St. Paul to Stillwater and he brought what he had already developed to our program. It was at that point six years ago when he began to bring new ideas and then as other parents of hockey players got involved with hockey backgrounds. They brought new ideas that hadn’t been thought of before to optimize what we already had. Programs like ProEdge Power Skating and skating coach Jesse Sampair, OS Hockey Training (director Winny Brodt Brown and specifically designed to instruct girls’ hockey players), Casey Rooney’s ReadReact Hockey, M.E.G.A Goaltending, Scott Bjugstad Shooting School and Acceleration MN – just to name a few. From top to bottom, each program brings individual skill instruction to the players during the season. Yes, during the season, meaning that in addition to the games and practices that often fill the regular season calendar, SAHA teams also take that time to promote skill development AND team development at the same time. For example, while working with M.E.G.A Goaltending, each association goalie gets two individual sessions with an instructor each month. Players also get 1-2 sessions per month with OS Hockey and 1-2 sessions with the ReadReact program as well. The proactive approach is working. The nine teams (six boys, three girls) who advanced to last year’s state tournament was an association record and two squads (Junior Gold 16U Red and 12U B Red) were both crowned state champs. In addition, 15 separate teams advanced to the Minnesota State Hockey Regional Tournament In 2017-18. Other trophies handed out last year included a second-place finish at state for the Junior Gold A squad and a third-place finish for the Junior Gold 16U Black team. “I think that is the reward of all of the hard work that has been done over the last half decade,” McGlynn said. “It’s these outside companies that we pay additional amounts to – programs who we spread throughout the whole season so we can break up the team work we are doing in practices and games. We evolved into the way we are doing things now. It’s just an additional way of helping these kids get better. Which leads to the community development part of the equation. McGlynn, who took over as association president in May, was previously a coach for the association for nearly a decade before accepting his most recent challenge. A 3M business manager by day, McGlynn points to the wide range of professional talent and experiences that each of the board members, coaches and volunteers bring to the table as a reason why SAHA continues to grow and excel. Running an association takes resources, time, creativity and lots of bodies who all work together with one goal in mind- community. It’s also expensive. In 2016-17, in an effort to advance the association in both of those categories, SAHA developed a fundraising committee called the “Playmakers.” The group came together with the mission of building a tight-knit community within the association, emphasizing the core values SAHA wanted to promote on and off the ice. In short, with over 700 kids skating within the association, the group wanted to develop an atmosphere where parents and kids throughout SAHA got to know and interact with one another and not just the parents and skaters on the specific teams. After starting with a basic parents night event, the Playmakers have since taken off, hosting annual events such as a yearly golf tournament and a “Bad Moms Christmas” movie night. They also grabbed hold of the “Love Your Melon” beanie campaign and quickly sold over 400 beanies with “Stillwater Ponies” written on one side of the hats. From there, the Playmakers developed “Swag Gear,” consisting of association apparel from blankets to socks to umbrellas. To say that the “Playmakers” have been a success would be a dramatic understatement. There is plenty to be proud of and the Playmakers are far from finished. Coming to the association this week will be a new addition to the team in the form of a mascot. Skating on the ice for the first time in 2018-19 will be “Big Red” – the brand new SAHA mascot who will fittingly be a large red pony. Gerard and company hope Big Red will be an added incentive for the SAHA skaters as well as providing another face to the association. Andrew Vitalis can be reached at lphprep@yahoo.com. When can my kid start skating? When is the right time to start your son or daughter into skating or even into hockey? ©2019 State of Hockey / SportsEngine. All Rights Reserved.